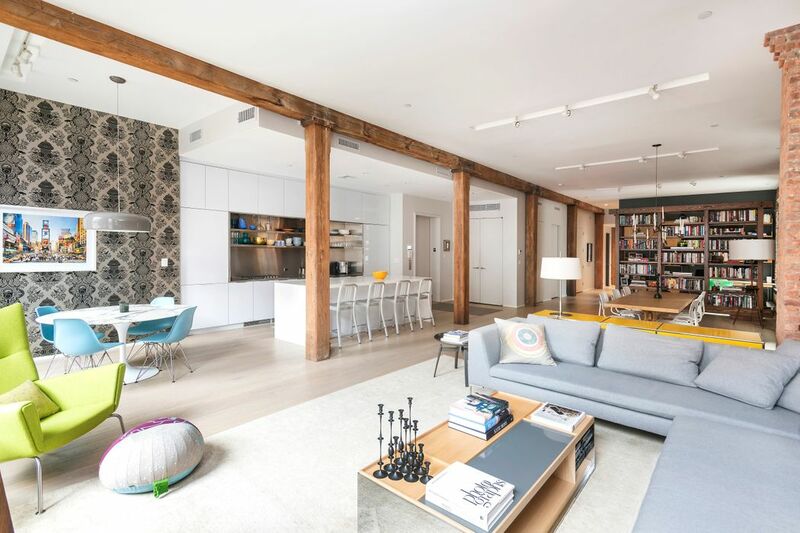 192 Water Street Apt 3W, Brooklyn, NY 11201 | Sotheby's International Realty, Inc.
$3,300,000 2 Bedrooms2 Full / 1 Partial Baths2,423 sq. 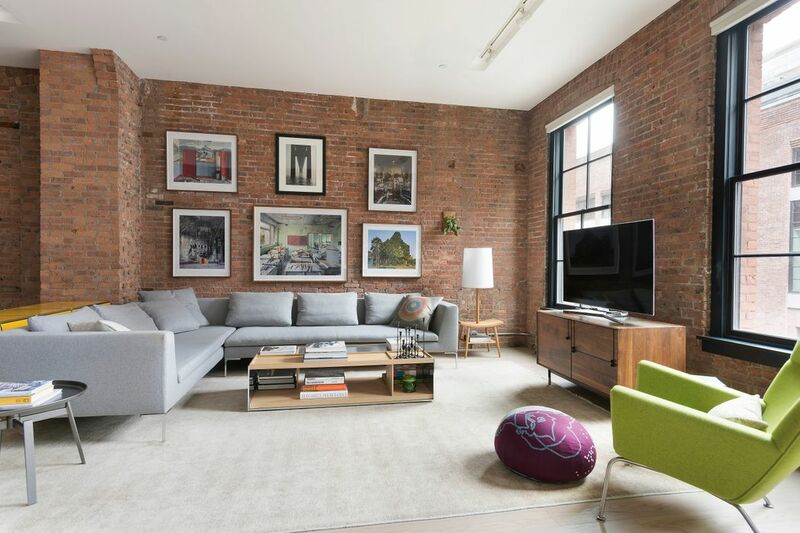 ft.
A private, key-locked elevator leads directly into this luxurious DUMBO loft boasting coveted proportions, contemporary upgrades, and sophisticated design. Upon entering, one is fully immersed into an open layout featuring exposed timber beams and posts, beautiful brick walls, approx. 11’ +/- ceilings, oversized windows, track lighting, and matte finished, white oak, wide plank hardwood flooring. Currently offering two expansive bedrooms, 2.5 baths, and a home office area, this 2,423 sq. ft. apartment’s flexible design can easily be converted into 3 or 4 bedrooms while maintaining a huge living area. A custom floating bookshelf wall (available for purchase) separates the dining area from the home office, offering privacy and separate living areas while not compromising on space. 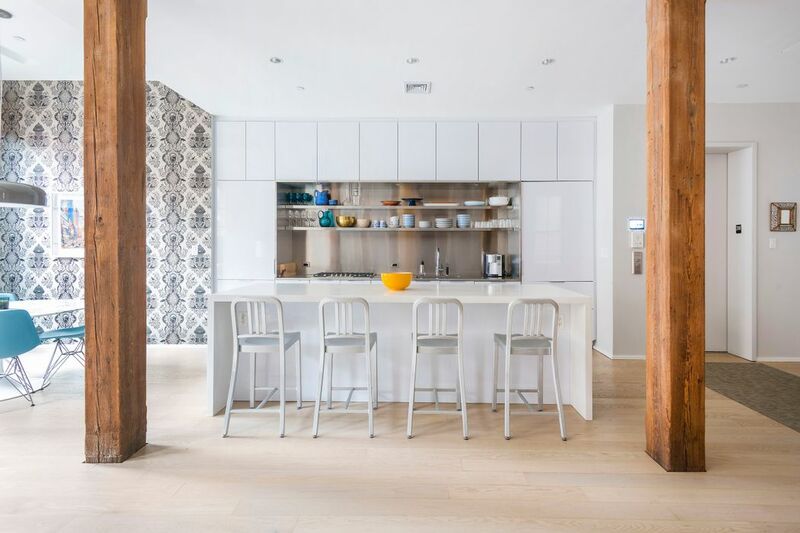 The open chef’s kitchen boasts integrated European white cabinetry, a Sub-Zero refrigerator, Bosch oven, dishwasher, stainless steel sink and backsplash, retractable range hood, and a floating waterfall island that spans more than nine feet. 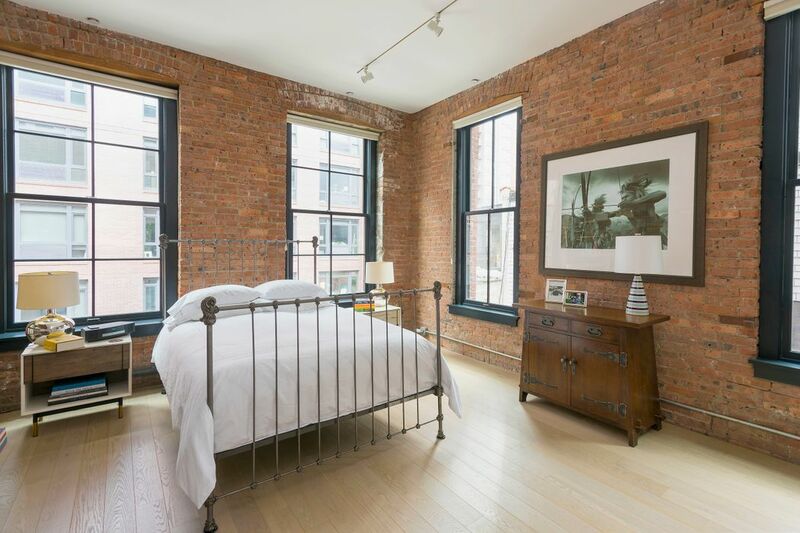 The spacious master suite, which is flooded in natural light through four oversized windows, boasts exposed brick walls and a large dressing area with custom built-ins. The master bath is beautifully-outfitted with double-basin Cristalplant cast sinks, an approx. 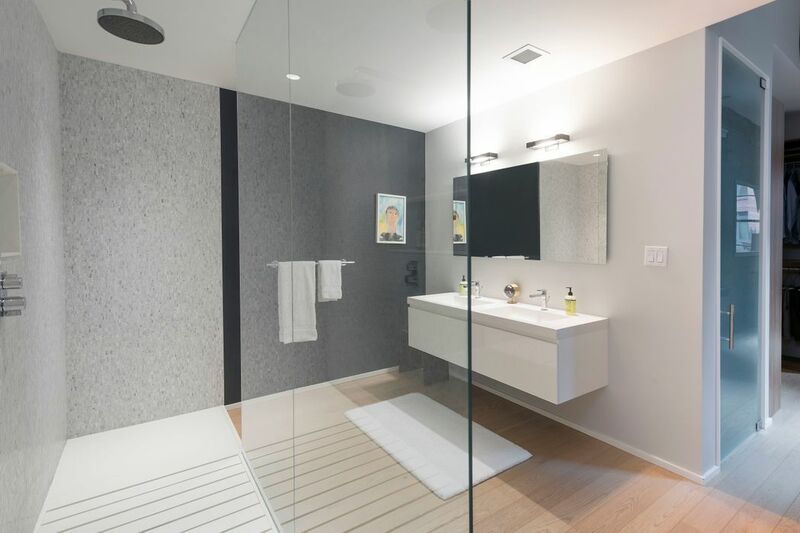 11' x 3' rain shower with dual controls, white marble tile, and a separate toilet room. 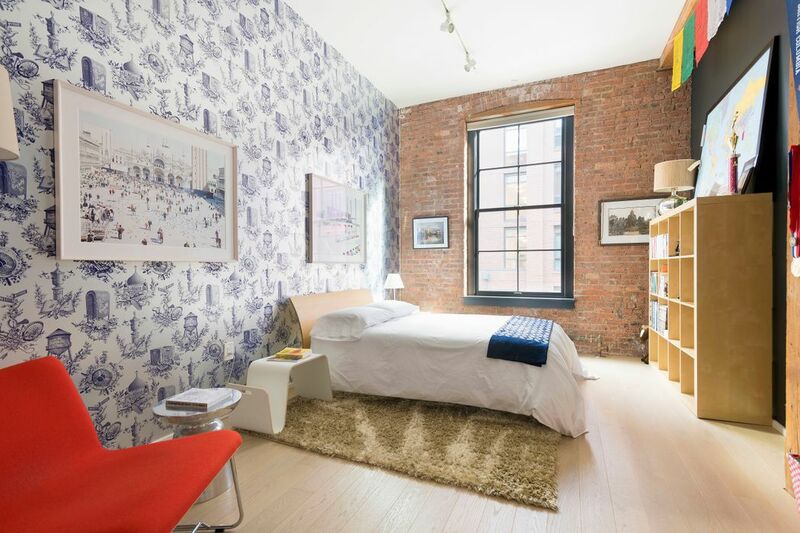 The spacious second bedroom includes a large window, exposed brick, and a wall of custom-designed closets. A full bath with a soaking tub is connected to this area as well. The home office, which can be configured as an additional sleeping space, features exposed brick, a large window, and easy conversion into a third true bedroom. This impeccable residence also features a separate laundry room with a washer/dryer (vented), various closets/storage options throughout and a powder room. 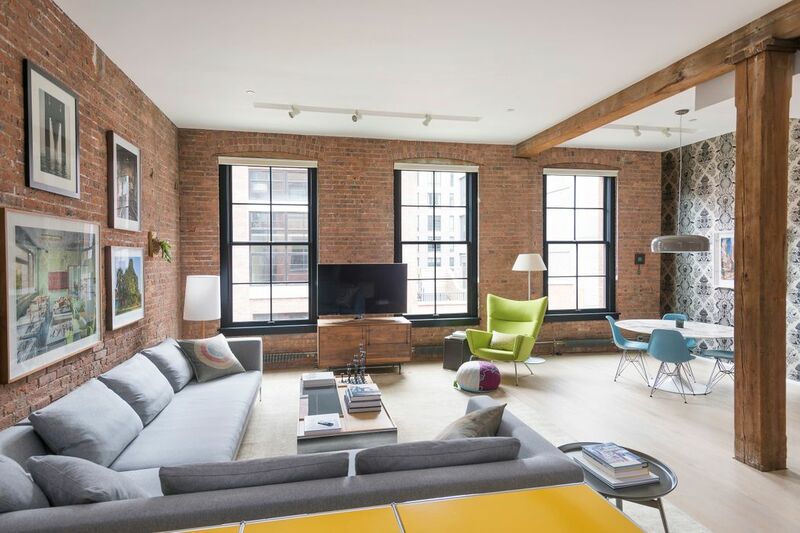 Converted from a warehouse into nine expansive lofts, 192 Water Street maintains the historic architectural character of its time while beautifully integrating modern upgrades and finishes throughout. Amenities include a 24-hour virtual doorman, secure package room, gym, bike room, and private storage for each apartment. 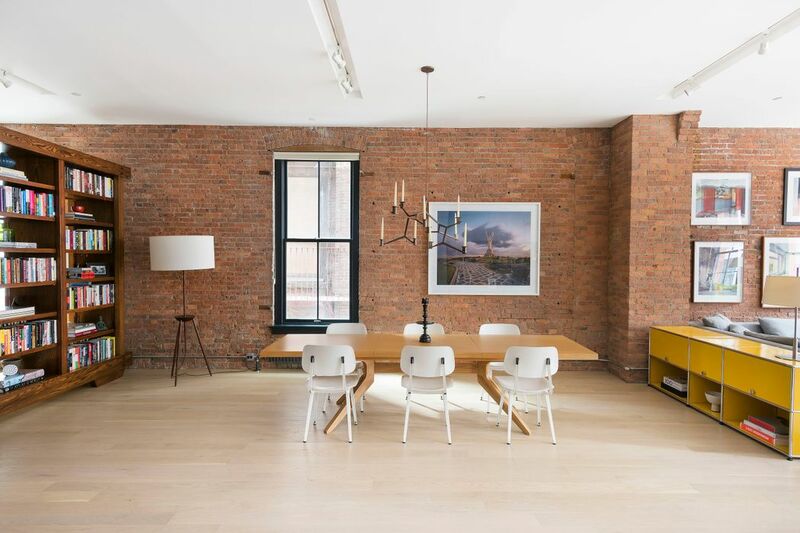 192 Water Street is surrounded by restaurants, convenient transportation, shopping, art galleries, near the Jay St. entrance to the fabulous Brooklyn Bridge Park. 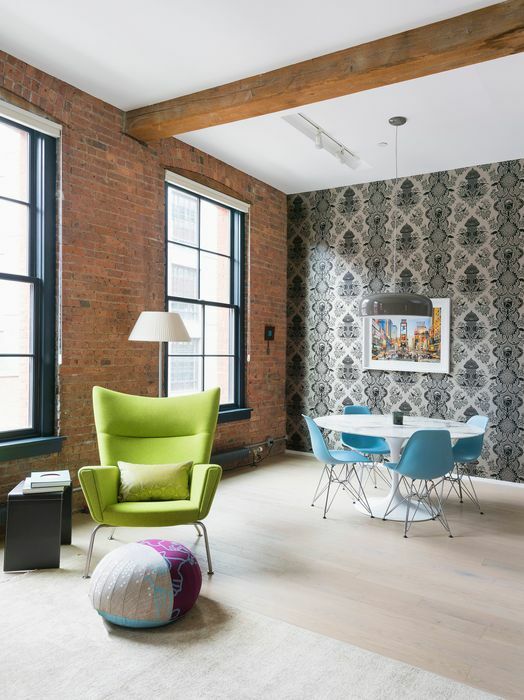 A private, key-locked elevator leads directly into this luxurious DUMBO loft boasting coveted proportions, contemporary upgrades, and sophisticated design. Upon entering, one is fully immersed into an open layout featuring exposed timber beams and posts, beautiful brick walls, approx. 11’ +/- ceilings, oversized windows, track lighting, and matte finished, white oak, wide plank hardwood flooring. Currently offering two expansive bedrooms, 2.5 baths, and a home office area, this 2,423 sq. ft. apartment’s flexible design can easily be converted into 3 or 4 bedrooms while maintaining a huge living area.A custom floating bookshelf wall (available for purchase) separates the dining area from the home office, offering privacy and separate living areas while not compromising on space. 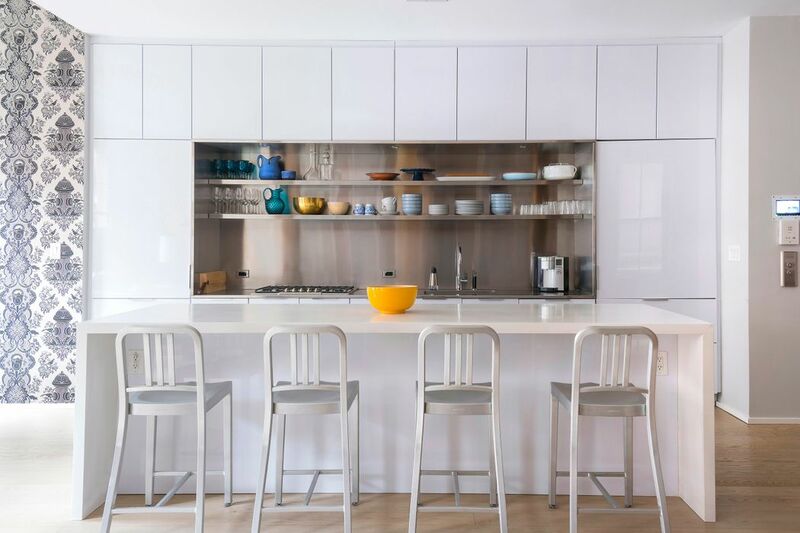 The open chef’s kitchen boasts integrated European white cabinetry, a Sub-Zero refrigerator, Bosch oven, dishwasher, stainless steel sink and backsplash, retractable range hood, and a floating waterfall island that spans more than nine feet. 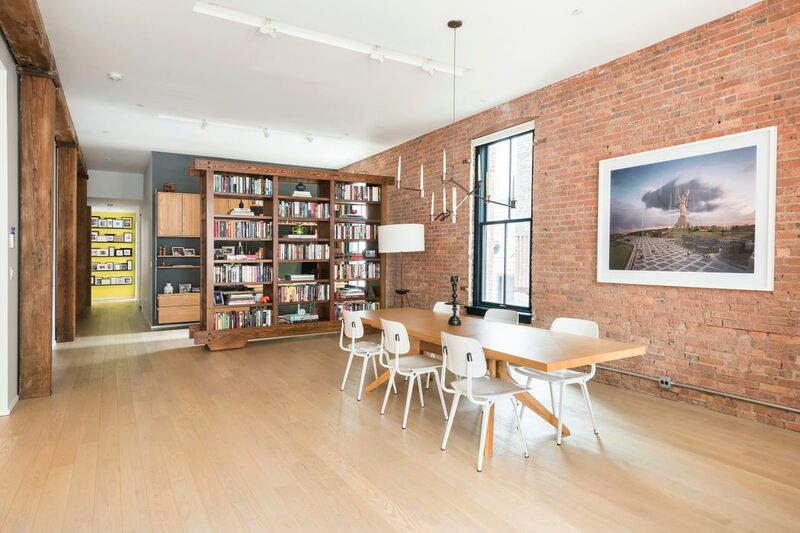 The spacious master suite, which is flooded in natural light through four oversized windows, boasts exposed brick walls and a large dressing area with custom built-ins. The master bath is beautifully-outfitted with double-basin Cristalplant cast sinks, an approx. 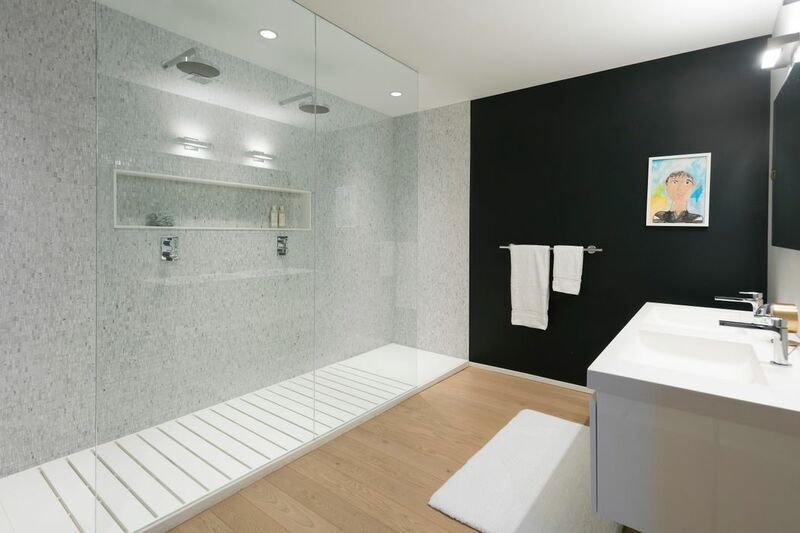 11' x 3' rain shower with dual controls, white marble tile, and a separate toilet room. 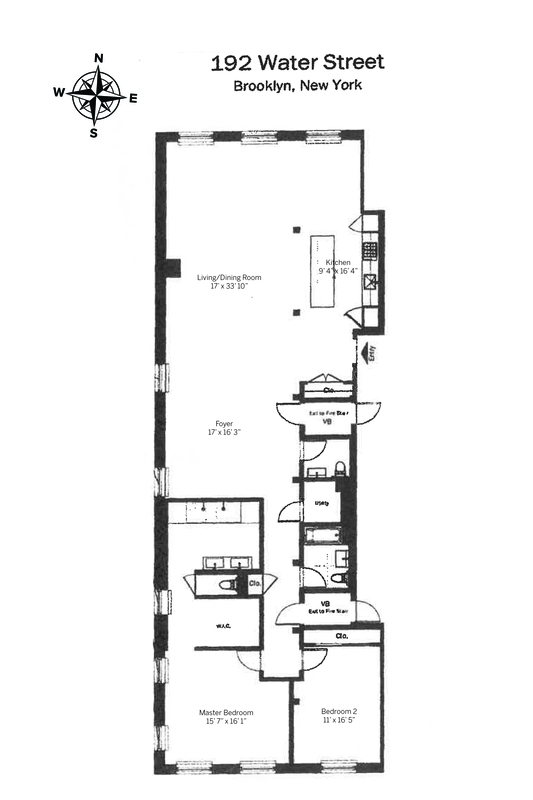 The spacious second bedroom includes a large window, exposed brick, and a wall of custom-designed closets. A full bath with a soaking tub is connected to this area as well. 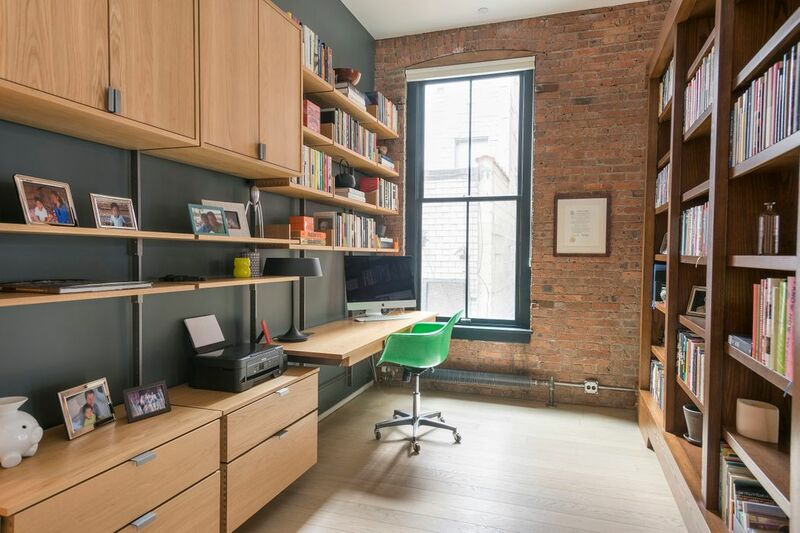 The home office, which can be configured as an additional sleeping space, features exposed brick, a large window, and easy conversion into a third true bedroom. This impeccable residence, which has been professionally soundproofed, also features a separate laundry room with a washer/dryer (vented), various closets/storage options throughout and a powder room.